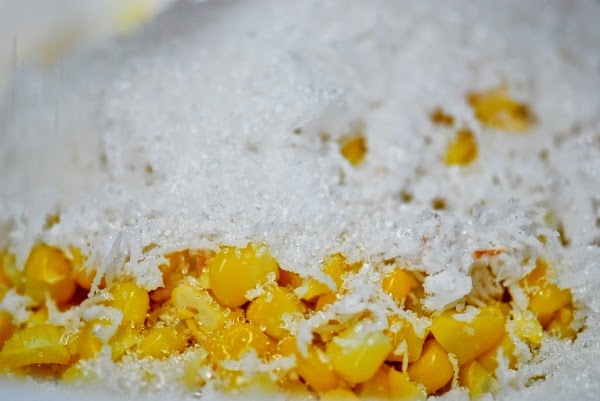 Drop corns in a pot of salted boiling water. Cook for 15 minutes. Remove and let cool. Using a sharp knife, cut the kernels off the cob. 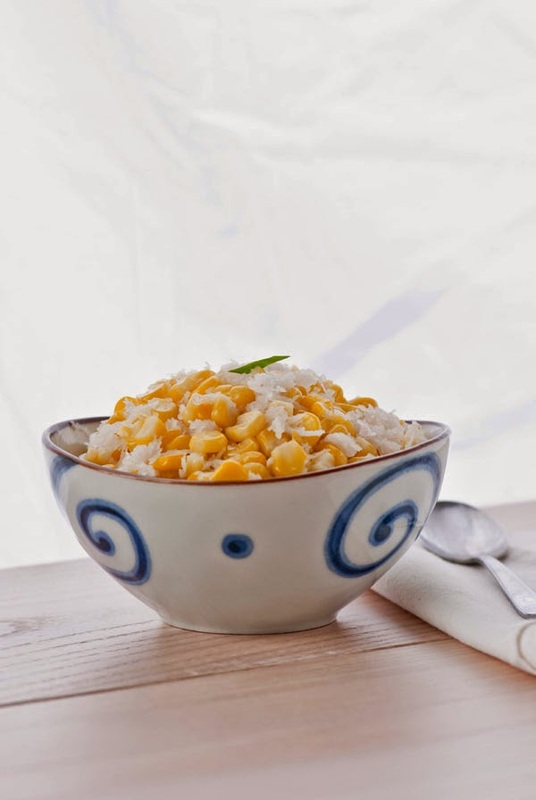 Mix corn kernels with grated coconut, sugar and salt.